More and more specialty restaurants open these days but only those that serve authentic food stay survive and stay around for years, and decades even. The same idea can be applied to all the different food trends that are popularized in the world today. In some countries, milk teas are extremely popular, while in others, no one really wants to try them out. However, if there’s one staple food that Americans love since the beginning of time, it has to be steak. In fact, for most Americans, not just any ordinary steak will do because they know the best and most tender types. If you are traveling to Arizona soon and would like to taste a real steak, check out these six most popular steakhouses in the area. The BLT Steak is one of the most expensive steakhouses in Arizona because they serve high-end meats. 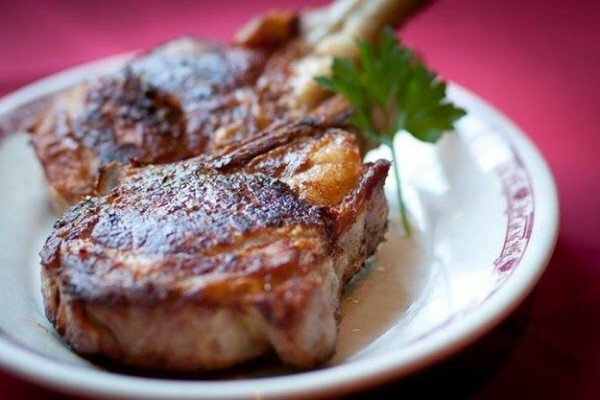 The restaurant is famous for their 14-ounce New York strip and their 20-ounce bone-in rib eye steak that are both cooked to perfection. If you want to try BLT Steak during your next visit to Arizona, make sure to try out their dinner special freebies which included chicken liver mousse and Gruyere popovers. The Keg Steakhouse + Bar is the perfect steak place for those who want to eat and drink. The restaurant offers a calm ambiance for guests who wish to bring their partners out for a date or those professionals who want to chill after surviving a long week. The steak selections at this restaurant are also impressive because not only do they serve different types of meat, you can also request the type of cooking you want for your dish. Steak 44 serves as The Mastro’s modernized steak place. Unlike The Mastro’s classic style, Steak 44 introduced a more casual dining experience to guests who want to enjoy their meals without dressing up. This does not mean though that the quality of their steaks has been sacrificed. Fact is, Steak 44 serves the same yummy steak selections at a more affordable price. Donovan’s Steak & Chop House offers high-end meats, wines and martinis. This upscale steakhouse serves only the freshest melt-in-your-mouth steak selections that are cooked as soft and as fine as possible. One of their bestsellers is the USDA Prime Steak that is served with au gratin potatoes, prime filet in different sizes, strips of meat and more. Remember, don’t forget to request the type of cooking you want for your steaks because they can accommodate that too! If you are the type of guests who is not only after the yummiest steak but also the tastiest flavors, Bourbon Steak is the best steakhouse for you. This place serves top-of-the-line Angus, American wagyu and Japanese Kobe steaks that are truly mouthwatering. Cartwright’s Sonoran Ranch House offers a more relaxed ambiance for guests who want to enjoy their steak with glasses of wine or beer. Other than their choice steaks, Cartwright’s Sonoran Ranch House also sells unique appetizers, salads, soups and an even wider selection of main entrees. With all of these selections for steakhouses in Arizona, chances are you can never go wrong with finding the one that serves the tastiest steak from them all. All you have to do is ask around or read more reviews to help you decide which steakhouse in particular you should try next time.